The Ada County Courthouse is a secure building. You will be required to walk through a metal detector and you will be asked to empty your pockets. Anything you carry must go through an X-ray machine. NO guns, knives, scissors, pepper spray or other objects which could be construed as weapons are allowed in the courthouse. All persons and carry items are subject to search. The first hour of parking is free and $1 per hour thereafter. 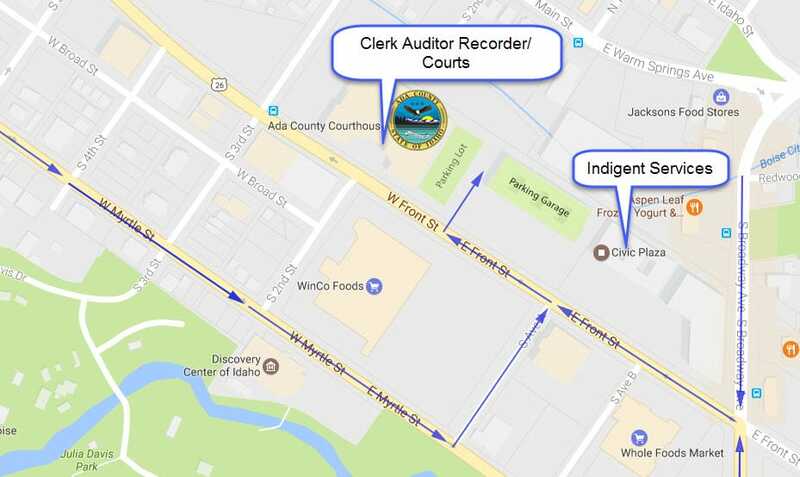 Public parking for the Ada County Courthouse and Ada County Indigent Services Office is located on the east side of the courthouse. Parking is free for the first hour and $1 for each additional hour. You will need to go through security to enter the Ada County Courthouse.